If we put Pakistan’s politics into the metaphor of a screenplay and attempt to determine the plot structure, there is 100% certitude that nobody would be able to ascertain whether it is a suspense thriller, horror, historical drama, mystery or a comedy. And much to the nation’s chagrin (that is constantly lost in comprehension), there are so many actors and yet it is challenging to settle on who the protagonist is. Or for that matter who appears to be the antihero. Time and again, these so-called actors keep re-casting themselves in the same act (repeatedly and incessantly) and continue ad nauseam. But the people have been conveniently obdurate almost every time, to acknowledge and applaud to their performances. And as they say, ‘the show must go on’, these actors never seem to have enough of their fill. 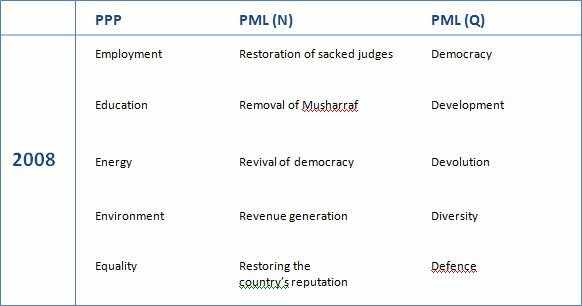 At times, they take the form of the mulishly obstinate Sharif Dynasty, sometimes that of the infamous but accidental Zardari’s Legacy-led Empire, on occasion the mighty martial law dominion, erratically the ever-vying ‘lusting-after-the-throne’ religious radicals, the U-turns and the PNRs (point-of-no-returns). As easy as it may sound but Pakistan has ceaselessly been bruised and battered by these fine actors for the past 70 years and notwithstanding the deception and atrocities, the people of Pakistan (the spectators) have grown susceptible to whatever comes their way. Hence, it would essentially be safe to say that without an iota of doubt, we have turned into a truly callous nation and despite the degree of pain inflicted upon us by our rulers; we always fail to feel it. And so the game of ‘Allow > Deplore > Repeat’ continues only to carry on interminably where we allow our rulers to wreck havoc on our country, and eventually on us, by voting for them by choice or otherwise. Once the rulers are in power, it does not take too long for us to realize and deplore that the damage has already been done and there is nothing left but utter disillusionment. Fast forward the time a little where our confidence in these tricksters starts to reassemble as they little by little beguilingly gain our trust through sympathy, approbation, pledge, deceit and the ‘ever-popular’ bouquet of false promises – and voila! Here we are ready to repeat this idiocy – yet again! The structure of a play is conventionally consists of five acts; prologue, conflict, rising action, falling action and the denouement. 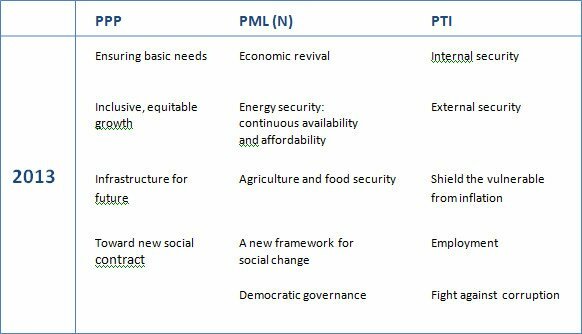 So let’s visualize Pakistan’s political scenario in this perspective. Now, whatever the ‘carrot and stick’ approach is being used by these conjurers, it always (one way or the other) seems to yield success in alluring us and making us believe them after all. But does every cloud have a silver lining? This remains to be seen by us until an individual comes into power by virtue of our own votes (or via military overthrow) and starts to deliver… or something like that! Pakistan has been confronted with countless issues for years; these may be inherited, self-created or external but seem to have been leeching onto the country and the people for decades. Regardless of the fact whether or not these actors have been able to reach a panacea to the problems at hand, what issues or pitfalls are we actually up against? There may be a blatant overlook of items in the above listing as without a doubt, there must be a plethora of problems being the subset of the ones mentioned here as well as the ones that must have spawned out of mass moral degeneracy. Besides, the order of the aforementioned list may also vary among different circles as some points may be more significant than the others but regardless of the priority of the order, one thing is certain; all these issues impede the growth of a society both mentally and economically. So, ever wondered why these issues continue to decay our county and why these political stalwarts have time and again failed to extricate Pakistan from the grips of this seemingly interminable political, social, infrastructural and economic handicap? Because that’s what keeps their ball rolling – they need to be on with the show! So, what is the rising action? It is the events leading from the conflict to the climax, the turning point. In this perspective, let’s examine how some of our political honchos have fared during their respective tenures over the past two decades or in other words, what sort of climax have they reached? Sort of like what Zia-ul-Haq did to Z.A. Bhutto, we can definitely draw similarities in the Pervez-Nawaz episode [only letting NS live eventually] when in October 12, 1999. Musharraf took power in what was dubbed as a “bloodless” coup deposing the then Prime Minister Nawaz Sharif. Though it was necessarily a helter-skelter of a term that led to a catastrophic end, Musharraf did have a fair share of favorable days for starters enjoying nation’s support and confidence to an extent. Let’s review what was it that he did despite the anti-hero that he went on to become? Without a doubt, Asif Ali Zardari’s incumbency may aptly be termed as the mighty paradox of the century. A ‘farce majeure’ that had the whole nation jolt with the ultimate thunderbolt. This gamer conjured up his bag of tricks with almost zero likelihood and made history by becoming the first elected civilian president of the country in September 9, 2008, to complete his constitutional tenure and be replaced by an elected individual. So, no matter what one might think of this Machiavellian, he went on to complete his term with this ever vulpine smile on his face attempting to ally with anything and everything that moved and voila – he manifested himself as the master of quid pro quo the world had ever seen! With an incessant idée fixe to dominate and rule the country, the third time lucky Nawaz Sharif had everything going for him when in June 5, 2013; he met with an unprecedented feat of becoming the third Prime Minister of Pakistan downing the one contender whose victory was unequivocally inevitable owing to his escalating popularity among the educated circles and the youth in particular; Imran Khan, Chairman of Pakistan Tehreek-e-Insaaf. 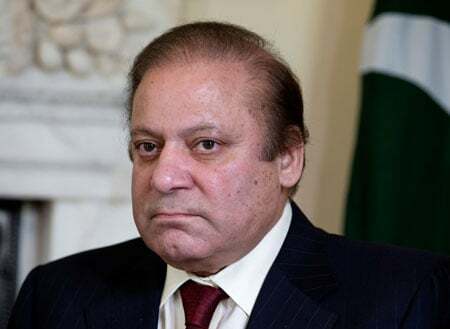 With the net worth amounting to billions of US dollars, as of 2017 and infrangible relationship with the Middle East, Nawaz Sharif proudly stands among the top 10 richest people in Pakistan with assets that are, well, embarrassment of riches to be exact, literally! The falling action refers to the events following the climax of a story before the resolution. In this light, let us delve into the gaffes made by some of the players in politics. To err is human but to overindulge in it is lunacy. 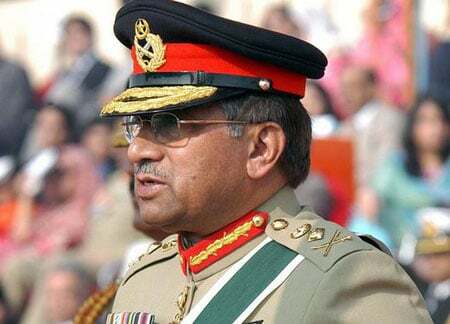 What some groups of people perceived to be a fairly good start, Musharraf’s term was marred by bad governance and his inability to make the right decisions leading him to completely decimate his credibility and image toward the concluding session of his tenure. “The Kargil War was an unsound military plan based on invalid assumptions, launched with little preparation and in total disregard of the regional and international environment”. This little but powerful quote must hold terribly true for the dark horse of the Pakistan politics in an enormous way. After all, the name ‘Bhutto’ has served up as an heirloom for Asif Zardari and many a time as a ploy to reap nation’s compassion. Every man makes mistakes but some take this skill to the next level! Let’s have a look at what could have been the possible missteps of the king of controversies? 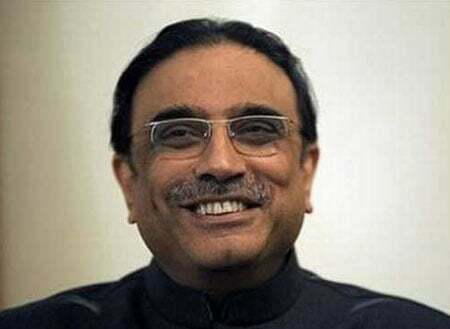 A record number of 93 trips were made by Asif Ali Zardari during his tenure drawing massive criticism – this record remains unbroken among his counterparts thus far! Often labeled as General Zia’s protégé, Nawaz Sharif has come a long way being the only Prime Minister in Pakistan to assume office for the third time. How he managed to pull this off remains enigmatic; was it political acumen, stroke of luck, destiny, chicanery, power or influence? But, does it really matter? While we speculate, Nawaz Sharif already relishes his 5-year term which is almost drawing to an end in advance of the upcoming elections scheduled for 2018. While he was at it, Nawaz’ term had definitely been a rollercoaster ride for the people of Pakistan with Sharif hankering for those victorious highs and inevitable lows. What could be his slip-ups? The star-crossed Panamagate blighted Sharif’s image significantly and has the propensity to dethrone him while his family is under trial for Panama Papers. Nawaz Sharif’s fate is hanging by a thread while the judgment is under way – Now, whether it is the JIT or the people of Pakistan who would decide the future of the Sharif family – it is yet to be known! The denouement refers to the conclusion of the story or the dramatic structure; that may result in a resolution, revelation or even a catastrophe – depending on how these actors plan to end it! On the up side, the GDP of the country increased by 4.7% in the fiscal year 2016, gaining from major economic reforms and improved security. Lower oil prices helped put the brakes on inflation significantly and also kept the current account deficit middling in spite of weaker exports. However, without a doubt, continued economic reform is exceedingly imperative to reach a course to higher growth. This is how Pakistan’s GDP has performed between the years 2012 and 2016 – the increase has been gradual but at least it is on the rising trend. Very simply put. If we are to attain something, we must be willing to take risks regardless of the fact that there might be punishments or accolades along the way. We need to choose wisely who will rule us for the next five years as we will be the ones putting our country’s fate into the one hand that we will pick. There will certainly be the likes of Starks, Lannisters, Targaryens, Greyjoys, Night’s Watch, Tyrells or even the Snows in our midst – but it would be up to our prudent choice who we bestow upon the coveted throne. Despite the consequences, there will always be the powerful families frantically vying to control us; we need to be mindful of these kings and queens, warriors and weaklings, knights and renegades, shamsters and the virtuous. This time around, let’s vow not to repeat the same mistakes. For once!